Emergency responders may find it necessary to shut down schools, businesses, access to roads, stores and resources for supplies, due to an emergency situation. 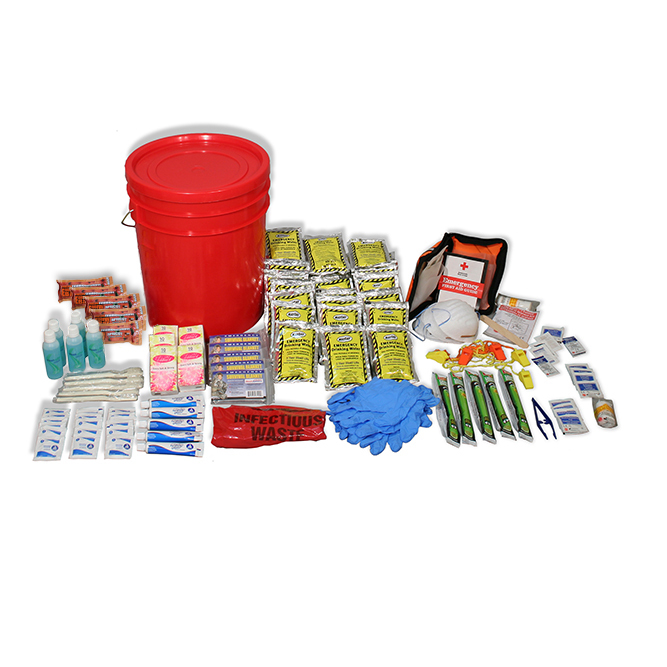 Make sure your family, classroom or business is prepared for a lockdown situation with this secure and waterproof bucket of emergency supplies. The bucket is stocked with a carefully-stocked supply of food and water to sustain five people for the critical first 72 hours of an emergency situation. The bucket also contains a crank-powered four-function emergency power station which includes a radio, a siren, a flashlight and a cell-phone charger. Ponchos, blankets, and dust masks provide protection from the elements and hygiene products like toothbrushes and toothpaste are included as well as a first-aid kit. Actual contents or product packaging may vary from that shown in photo.